So, the long Dutch summer vacation is nearly upon us and that means time to seek adventure, relax in luxury after a hard quarter or spend some quality time with loved ones. If you have been too disorganised or cash strapped to book something so far, but can’t stand the idea of a crowded campsite or bog standard chalet holiday, then Esther O’Toole has found some quick and quirky Dutch options to inspire you. This unusual initiative is now in its second year. Part open air art installation, part camping experience, Urban Campsite touts itself as a chance to get some new perspective on city life in a surprisingly quiet spot just outside the centre of town. Handcrafted wooden cabins, sit alongside tepee-esque tents and even a bottle! The message in it – you. Not all the accommodation is suited to families so do ask when booking. It’s a little rough and ready in its finish but you certainly feel out in the wilds. There is a communal fire pit with comfy benches and workshops with the artists, all very ‘gezellig’. The well-known café/bar, Blijburg, is just next door. Though it’s not quite back up to speed since its recent move, the beach has been renewed and is ready for the summer season; there are bins, toilets, a snack bar and swimming area. What’s more, the new location allows for fantastic views across the IJmeer towards Pampus Island and Durgerdam. Open June, July and August. One for culture lovers who want to be able to get into town easily, but are also after a more unusual holiday experience, would be the Lloyd Hotel. A very comfortable, up-market hotel with café/bar and an emphasis on design. It also acts as a ‘Cultural Embassy’, hosting events from book readings and cinema to theatre productions in the rooms! Definitely big enough for families but also a great place if you’re looking to escape the children. Regular special offers include things like bike hire and picnics with champers as part of your booking. Definitely one for with the kids, Hotel Hanzestadslogement or, ‘De Leeuw’ as it is commonly known, is a hotel with olde worlde sweet and tea shoppe (Weds-Sat). It boasts over 200 different types of traditional sweets, alongside other local delicacies. With its range of charming rooms and apartments the hotel can accommodate different size groups, all located in a beautiful 17th century building. You will find it right in the historic centre of Deventer. Venturing further south you can stop off in what the Huffington Post called a ‘one of a kind’ hotel, the Kruisheren. 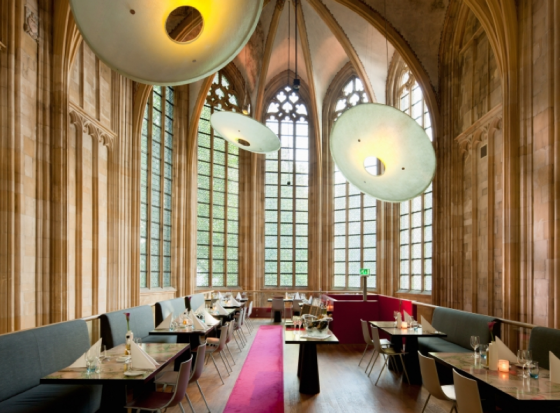 Originally a gothic church, this design hotel has over 60 rooms, each individually designed to combine the best of old and new, as well as a terrace in the 15th century cloister. If you’re looking for a really dreamy trip, why not check out one of the other fairy tale castles on Chateaus.nl run by the family Oostwegel. Ranging in size, price and facilities, these are mainly found in South Limburg and the Belgian border region. They promise luxury (with swimming pools and spas), wonderful countryside views and southern hospitality. 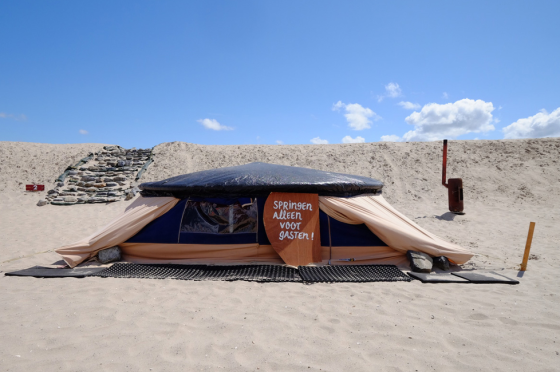 If you’re looking to get way out of town and are in search of a memorable experience, you could try Camp Silver on Texel. Perhaps more for couples or small groups of friends than families, this is a real hideaway. 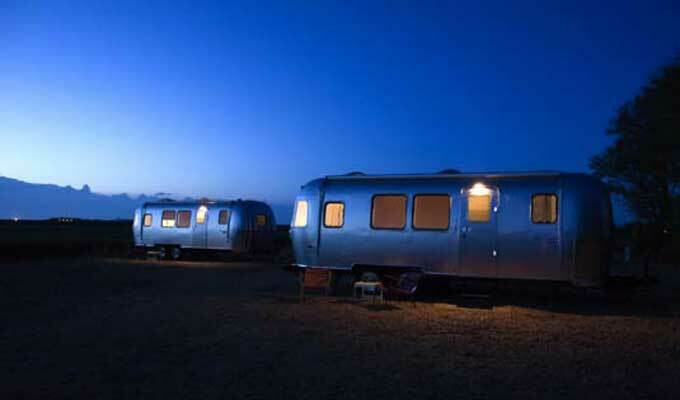 With its beautiful, silver Airstream caravans and a Pacific Dome for breakfast/dining room, it promises rest and relaxation in the middle of a UNESCO heritage site and is under two hours drive from the capital. Somewhere similarly remote but with more activities for the family is Camp Spirit. On an island in the Veluwemeer, just 45 minutes east of Amsterdam, Camp Spirit has a range of Yurts, Indian and Swedish tepees and Sahara tents. You can swim, do yoga and there are children’s and community activities laid on throughout the day. In search of something more challenging? Well, nothing says Holland like bikes and barges so why not combine the two in a uniquely Dutch tour? Responsible Travel and Utracks both organise biking and barging holidays for individuals or families and pride themselves on working with small, local guides and travel partners.